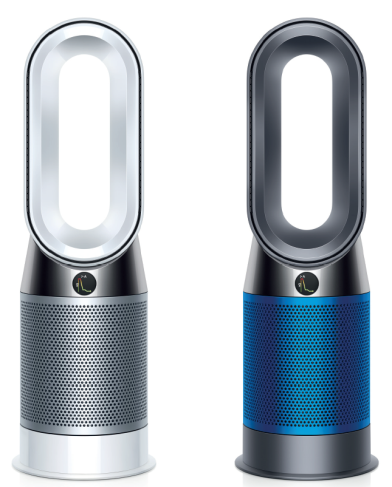 Dyson has launched an air purifier plus heater uniquely engineered for year round use, the new Dyson Pure Hot+Cool™ air purifier in India. It delivers fast and even room heating in winter, powerful cooling in summer and efficient purification through all seasons. The machine automatically detects airborne particles and gases and simultaneously reports to the new LCD screen and Dyson Link app in real time, encouraging wellbeing and maintaining comfort levels in the home. Air pollution is a huge problem in India with 14 out of 15 most polluted cities in the world in terms of PM 2.5 are in India, as per a recent WHO report. As awareness rises, equal importance has been given to indoor air quality as we spend majority of our time indoors. Furthermore, the outdoor pollution can enter the home and when combined with indoor pollution sources like cooking fumes, cleaning products, pet dander and disintegrated faeces, can make indoor air quality equally or more harmful than outdoor air quality. The bedroom, where we spend approximately one third of our lives can be a polluted place at home. Potential sources include particulate matter from city pollution, VOCs (Volatile Organic Compounds) from hair spray and perfume, formaldehyde from foam furniture, dust and allergens from carpets and benzene from scented candles. In the kitchen and living room, cleaning products emit VOCs, dander from household pets, gas hobs and other cooking processes release particulate matter, fumes and odours. As modern homes are becoming better sealed to comply with energy efficiency requirements, those pollutants can be trapped inside and air circulation can be compromised. The Dyson Pure Hot+Cool™ air purifier features a unique new diffused airflow mode along with fan mode. To maintain airflow projection out the front of the machine, the baffle stays in place to deliver a powerful, frontward stream of purified air. This can cool you down in the summer while simultaneously purifying the room.